Alan L. Gaines recommends World Auto Sales. great down to earth people will try their hardest to get you what you want, and not afraid to BS about life in process! will return definately! 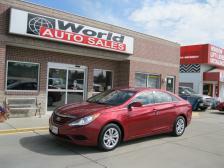 Jennifer Guilbert recommends World Auto Sales. Debbie was awesome! Will be repeat buyers and recommend to all! Thanks for the beautiful new car and the excellent service!! Bobby Sheldon recommends World Auto Sales. 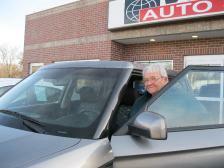 Debbie was great to work with, and made buying a car an easy process. Got a great car for a great price. Will come back for our next vehicle, and would recommend to anyone! Francisco J. Quintos recommends World Auto Sales. Faith Paden recommends World Auto Sales. Debbie was amazing! She worked with me found me an amazing vehicle that I’m so in love with! She’s amazing I highly recommend world auto sales! I’ve never been excited about car shopping but Debbie made it a great experience for this one! My experience was wonderful. We purchased a 2012 Nissan Quest minivan for the family and we love it. The price was great and the service we received was great too. We will be looking for a sedan within the next year and a half and I will be checking out their inventory again. Deb and Chris thank you both for helping me to acquire my 2010 Kia soul. your assistance and guidance was greatly appreciated. as I am a widow I have to rely on others to help me in getting a reliable vehicle. many thanks for all the help sincerely Joyce Voyles. I looked at several "large Dealerships" in larger towns, only to find my Escalade at World Auto Sales! It is exactly what I wanted and Debby and Chris saved me thousands of $. I highly recommend World Auto Sales, give them a try. Ken, KRK Trucking. I've been coming into World Auto for a few months looking for a good car for myself for several months. My first inclination was to buy the Honda Accord EXL. Unfortunately, the car was out of my price range. About 3 weeks ago, I was involved in an accident in Omaha, totaling my car. With a good insurance check, I was able to begin dealing on the Accord. 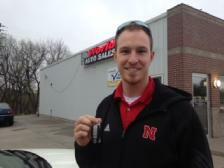 Chris Driskell, one of the best used car dealers I've ever dealt with, was able to give me a fantastic deal on the car I'd been looking at for a few months. Chris is no "hard sell" salesman. He'll listen to exactly what you want for your car. If it's not on the lot, he'll find it for you.  Kyle — 5 star rating:I loved doing business with Debby! I didn't feel pressured at any moment, was able to take the time I needed to make a decision, and she made the process easy. I got a great car at a great price and she even stayed open almost two hours later to help finalize everything. I couldn't ask for much more! We are very pleased with our 2012 Hyundai Sonata. It was easy to deal with Debby and Chris , I had done my research and found they offered a very nice vehicle at an exceptional price. I will always check with them before I go anywhere else, this is my second purchase from World Auto Sales. I was so impressed: I told the folks at World Auto Sales I wanted a 2013 Silverado in the diamond white color, in less than a day they found it for me. I was able to trade my 2010 and did it for a few thousand difference. I really like the back up camera with the screen mounted in my rearview mirror. Debby & Chris are easy to deal with and they have easy on the spot financing. 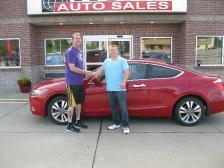 All of my family has bought vehicles here and we have been pleased with every transaction.